I found growers in high sprits when discussing their 2013s. 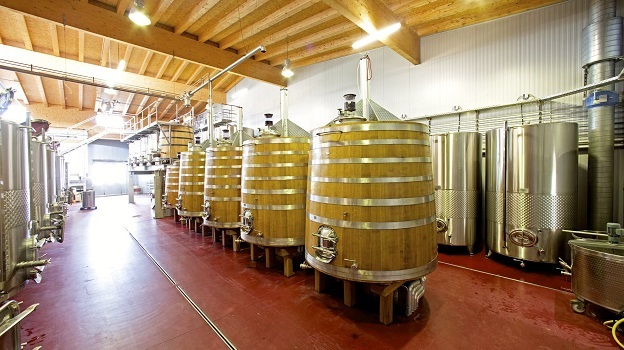 After extremely low yields in both 2012 and 2010 caused commercial difficulties for many estates, the more bountiful 2013 also brought relief in terms of production levels. Given that 2014 will again be very short in volume and largely mediocre in quality, consumers should carefully scout the available selection of 2013s at their local wine shops in order to buy the best bottles while they are still to be found. 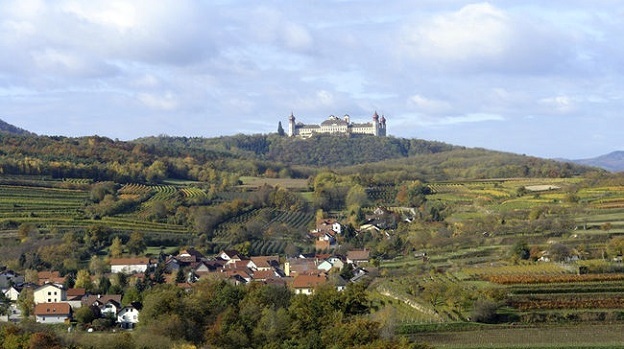 In spite of the euphoria about overall quality, total volume in 2013 was—at close to 330 million bottles—slightly below the long-term average, principally because Grüner Veltliner had problems with berry shatter during the flowering along large stretches of the Danube from the western end of the Wachau to Vienna. While total plantings of Austria’s icon grape have fallen from 20,000 hectares in the 1980s to only 13,500 today, they still represent 29% of the country’s vineyard area, so anything that affects this grape has a major impact on the total harvest. In spite of the loss in volume, Grüner Veltliner remains Austria’s best-known variety. Riesling, albeit sometimes exceptional, is only available in small quantities, and Austria’s red wines remain curiously unknown. Blaufränkisch is a stunning grape that is more readily available but has little appeal for foreign consumers. With only 44,000 hectares of vineyards, Austria will never impress with its size but it certainly does with its quality. Statistically it is not even in the top ten wine-producing countries worldwide, ranking only 18th in most charts. Nonetheless, that is higher than New Zealand, which enjoys wide popularity in the American market—and the wines of Austria are at least as good and have a much longer tradition. While not extreme, the winter was colder than usual, with more than sufficient snow and rain to replenish the water levels in the soil, a fact that later proved to be beneficial. As spring also remained cool, both budding and flowering occurred significantly later than in other recent vintages, but not far behind the long-term statistical average. When the first heat wave came in June it was with an unending fury that lasted for three months, making 2013 one of the five hottest and driest summers on record. In fact, drought in August nearly shut down the vegetation process, but welcome rains in September brought not only relief but also cooler weather that continued until harvest ended, allowing the berries to ripen on a steady course without losing their acidity. As botrytis was rare, nearly all grapes were harvested in healthy condition. The most commonly posed question to producers along the Danube in any given year is how Grüner Veltliner fared in comparison to Riesling. While I tasted many excellent Rieslings, I definitely believe that Grüner Veltliner had the upper hand in 2013. Not only did berry shatter reduce yields, it also led to the formation of tiny, very sweet but seedless grapes known in German as Jungfernbeeren, or maiden berries, which added complexity, balance and vibrancy to the final wines. Riesling, on the other hand, tested the nerves of the vintners at the end of the growing season. As the grapes only became truly physiologically ripe quite late, not everyone was willing to wait for just the right window to harvest and even those who did were confronted with high levels of acidity. While the best Rieslings have the depth and structure to age gracefully, they are often difficult to appreciate in their youth. Further, those producers who made good Rieslings generally bottled even slightly better Grüner Veltliners. 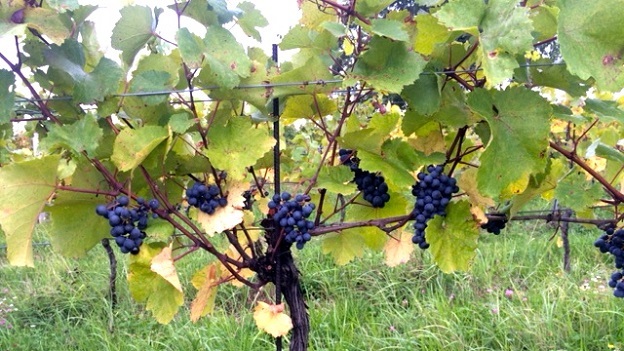 As in Germany, the Austrians are now beginning to classify their vineyards, but much still needs to be done. The use of individual ried names, as the Austrians call their sites, is vaguely organized but largely left to the individual producer. It is not quite as if they were allowed to put a name like Chambertin on the label merely because they thought it would boost sales, but the vineyards have generally not been so clearly delineated. 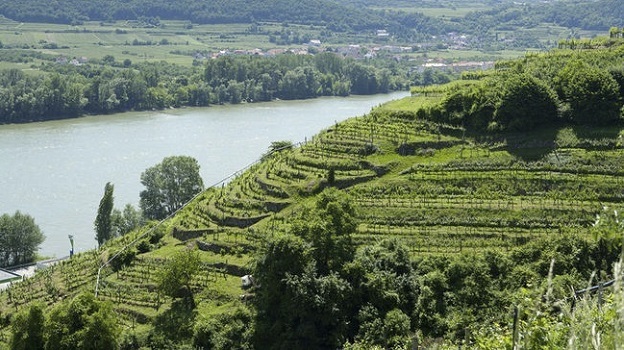 The Wachau prepared their original vineyard map in 1983, but it did not differentiate between what might be considered a grand cru site and what was merely an ordinary one. The Styrian Quality Alliance (STK) took that step in 2008, but as few of the leading producers share vineyards, they are essentially individual monopolies. There is little understanding at the consumer level as to what is the style of Zieregg, Nussberg or Kranachberg. In 2010, another group of producers called the Traditionsweingüter, or Estates with Tradition, began to classify the sites along the central Danube, but their work is still incomplete and, like the attempts of the VDP in Germany, not in any sense legally approved or binding. Their logo with the sundial and compass is, however, a good indication of who are the better producers in their respective growing region and what are the best sites. Unfortunately, the use of terms like Reserve can also still be confusing. In those regions that have introduced a DAC there is generally a Reserve category, but no producer is obliged to write Reserve on the label merely because his wine qualifies for the designation. Moreover, some say that there is no reason to add Reserve on the label of a wine that is classified as an Erste Lage. A consensus is building on what needs to be done, but we are still at least a few years from a true national solution. In the accompanying tasting notes, I have tried to write Grosse Lage, Erste Lage or whatever else the producers might have on their labels that credibly hints at a future classification, but not every estate places the same emphasis on classification. Similarly, some write merely Riesling Heiligenstein and not Kammener Heiligenstein Riesling, in order to highlight only the site, but others write the full name. In almost all cases, I have tried to follow the individual estate’s own nomenclature if it makes sense. Most of the wines included in this report were tasted over a fortnight’s excursion to Austria in early February. Those producers who I was not able to visit sent samples to my office along the Rhine. Thereafter, I retasted many of the better wines in my office in March so that I could compare them to one another and follow their evolution over a couple of days. For many consumers, this enclave on the Danube between Melk and Krems is the epicenter of Austria’s wine universe. There is no question about it being one of the most beautiful parts of the valley; it is also geographically, geologically and climatically awe-inspiring, offering the artists here a wide palette from which to choose. 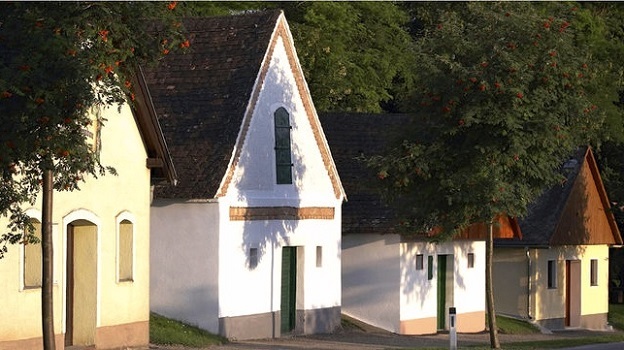 It was not so long ago, however, that the Wachau was also one of the poorest viticultural regions in Austria. Their good fortune was ambition, timing and just plain luck. Today, though, that measure of serendipity may be coming back to haunt them. While other regions have begun to sketch classifications of their finest vineyard sites, producers in the Wachau remain resolute in their belief in sugar ripeness at harvest, using the designations Steinfeder, Federspiel and Smaragd much like the Kabinett, Spätlese and Auslese that they had previously used on labels. That is understandable from a financial point of view, because Federspiel and even more so Smaragd are extremely popular on the market in spite of their comparatively higher prices. At the same time it would certainly be helpful if consumers were easily able to differentiate between the dry wines from top hillside sites like Axpoint, Achleiten and Kellerberg on one hand and the blocks in the alluvial plain along the Danube with names like Frauenweingarten, Donaubreiten and Kirchenweg on the other. It would be even better if they used only those names on their labels that could pretend to be at least of premier cru status and then made only one wine from each site. While Heunisch was once much more widely planted here, Grüner Veltliner is now not only the workhorse but also the show horse of the Wachau. However, although there are only about 14 common clones, which is a genetically small reservoir, there is enormous variation among them in terms of both potential crop load and quality. Without irrigation it is very difficult to grow Grüner Veltliner in primary rock soils of the upper terraces high on the hillsides because they are too acidic, hold too little water and provide little nourishment. Instead, the variety generally prefers the more alluvial soils closer to the river or those sites in the lower and middle terraces where winds have blown in chalky loess from the Alps. The 2013 Vintage: After a cold winter and relative late budding, 2013 turned into an almost perfect year for winemakers in the Wachau. The summer was warm, ensuring maximal ripeness, but the autumn nights were cool, which allowed the grapes to retain their natural acidity. Berry shatter at flowering reduced yields in certain vineyards, but there was little or no botrytis late in the season. Picking began at most estates in early October and even those producers such as Franz Hirtzberger who are known for their late harvests had finished by the middle of November. Even then, the Smaragds were generally crushed as very ripe but rarely overripe grapes so that alcohol levels were lower than in either 2012 or 2011. The generally consensus is clearly that 2013 is the best vintage since 2007. However, with a little distance, it is now fair to say that the Wachau has had a string of good years recently that are different more in style than in sheer quality. Two thousand twelve was also a ripe vintage with essentially no botrytis but less acidity, yielding creamy but powerful wines. In particular, the Rieslings are, at their best, excellent. Even the 2011s, a vintage in which the Grüner Veltliners were particularly rich, are now beginning to show more charm than many would have ever thought possible at bottling. 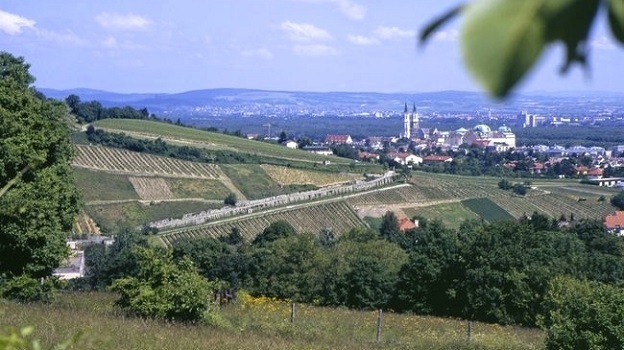 Krems has long been one of Austria’s best-known wine centers. The pride that comes with such distinction, though, has led to confusion as new boundaries have been drawn at different times since World War II for the various appellations along the Danube. Today, the region with its some 2,250 hectares of vines is an amalgam of four distinct areas that makes speaking of a single style almost impossible. The center of the old village with its sites Pfaffenberg and Hund should be part of the Wachau, but as that region was being established, the producers in Krems and Stein wanted to remain independent. On the eastern edge of the appellation, on the other hand, the vineyards near Gedersdorf could well be part of the Kamptal. Upriver from Krems towards Senftenberg, the weather is cooler and the soils stonier, lending the wines an austerity that they do not have elsewhere. Then, on the south side of the river, villages like Furth and Palt have warmer weather and deeper, more alluvial soils not seen elsewhere in the appellation. Not surprisingly, it is easier to speak of the style of an individual estate in the Kremstal than of the region as a whole. The 2013 Vintage: Everyone I met in Krems spoke highly of the 2013 vintage. Not only was the quality excellent, but at 52 hectoliters per hectare the average yield was almost identical to that of the year before. The vibrant, flavorful, dense Grüner Veltliners are generally considered to be a tad better this year, but that was not the case at every estate. In 2012, the Rieslings may have had the upper hand over Grüner Veltliner. This region takes its name from the Kamp River, which falls from north to south out of the wooded highlands along the Czech border into the Danube near Langenlois, Austria’s largest wine “metropolis.” Tal after Kamp merely means valley, so Kamptal means Kamp Valley. Most of the vineyards are on the slopes above the bucolic, crescent-shaped delta at the foot of the extended village. The best-known site here is the Heiligenstein, arguably Austria’s most famous vineyard. A sandstone outcropping with volcanic traces, it provides an expression of Riesling found nowhere else in the country. This, though, is a singular hillock in a complex maze of vineyards. Most of the soils are loess, chalky loam, slate and primary rock, which provide familiar earth for Grüner Veltliner and Riesling, the two most prevalent varieties grown here and the only two permitted to carry the region’s name. 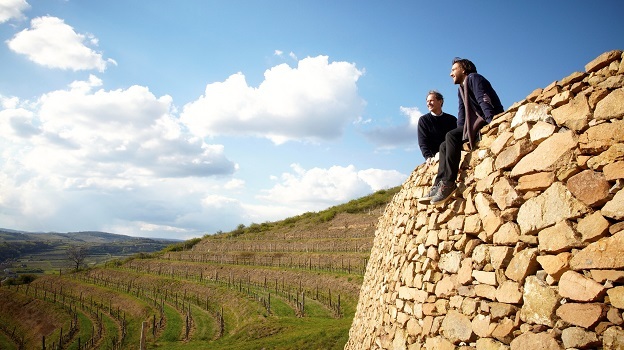 With 3,800 hectares of vines, Kamptal is also one of the largest Austrian appellations. While Mother Nature has certainly made this a privileged area for viticulture, the number of estates extracting the full measure of its potential is also quite large, giving it the pedigree to challenge the Wachau for the title of Austria’s leading white wine appellation. The 2013 Vintage: The winter from 2012 to 2013 was long, but with ample rainfalls that enabled the soils to establish the water reserves necessary to nourish the vines through the summer. Budding was later than in 2012, but there were no significant frosts. However, the damage from 2012 had already left its mark, so it was clear from the beginning that yields would be comparatively low. After a short episode of intense heat, flowering occurred two weeks later than normal during a cool, humid period toward the summer solstice, which led to scattered berry shatter, especially in Grüner Veltliner. Moreover, hail in June—in particular in the Käferberg—decimated production in those sites that it visited. Thereafter followed one of the five hottest summers on record. It was abnormally dry to boot. Vegetative growth was thus unusually slow until welcome rains fell in late August. Continued showers in September raised concerns, but a cool October allowed each estate to approach harvest as it saw fit. When the first signs of botrytis were noticed in late October, most of the producers had already finished their crush, but a number of wineries harvested their best vineyards well into November. With four of the past five crops quite short in terms of quantity, Mother Nature has truly tested the financial nerves of the growers. As the market will hardly tolerate price increases at present, the only downside for the consumer is that many of the best wines will be sold out shortly after they appear in the market. Wagram is Austria’s youngest appellation, created only in 2007. Its name describes a chalky cliff on the northern bank of the Danube between Kamptal and Vienna that in places looks like a small cliff. It is the old bank of the river from a time when it was several kilometers wide. Most of the soil is calcareous loess blown down from the Alps. Near the village of Fels am Wagram, at the center of the region, there are also traces of gravelly iron. The overwhelming majority of the 2,462 hectares of producing vineyards are in the classical heart of the region near Fels and Bronn—as are all of the best producers. Kloster Neuburg near Vienna also belongs to this newly created appellation. These are the warmest vineyards along the Danube, where Grüner Veltliner plays first fiddle. Some, like Ott, make essentially nothing else. Although the first maps classifying the better vineyard sites date back to 1823 (Bronn) and 1821 (Fels), it was only in 2010 that the Traditionsweingüter, an Austrian association similar to the VDP in Germany, resurrected the practice of declaring them on the label. While they write 1ÖTW on the label, in speech they are called Erste Lage, which essentially means Premier Cru. At one time, it was also common to use village appellations as well, but, although often discussed, this relic of tradition has yet to be implemented by any of the leading estates. The 2013 Vintage: “Grüner Veltliner needs enough water in the spring to nourish the vines,” explained Bernhard Ott, “and dry weather at harvest, with warm days and cool nights to coax the best potential out of the grapes.” After an early harvest in 2012, with crop levels down 20% from 2011, 2013 was a more classical late vintage that many producers here compare to 2010 and 2006, both excellent years. After having poured praise on the 2012s, many were at a loss to find superlatives to describe the better balance and more vibrant acidity that they find in the 2013s. While the region as a whole brought in an average of 56 hectoliters per hectare, or slightly more than in 2012, berry shatter reduced yields locally to painfully low levels, in particular for estates like that of Karl Fritsch in Kirchberg. Going back further, 2005, 2004 and 1998 remain the vintages of reference for Wagram. Traisental is not only the most recently established of Austria’s appellations, but also one of its smallest, with only 810 hectares under vine. Of that, though, almost two-thirds is Grüner Veltliner. Formed in 1995 as older appellations were reconfigured, the region was then granted DAC status in 2006. As the winds here blow down from the Alps, the growing season is a touch cooler than in either the Kremstal or Kamptal, the other two well-known tributaries of the Danube. There is also a little more rain here, which is a good thing as the producers in Traisental—as opposed, say, to those in the Wachau—are not allowed to irrigate. Those two factors, combined with the chalky substrates found in the better, higher-altitude sites, provide the wines with a lighter and more refreshing quality than those made elsewhere along the Danube. Given the shorter growing season, Grüner Veltliner generally does not reflect the character of the soil in which it is grown quite as much as Riesling does. That said, sites do not really mean that much for most producers here. Being close to both Vienna and the provincial capital St. Pölten, much of the wine produced by the roughly 400 small estates here are sold in regional bistros. Less than 50 actually live full-time from the fruit of their vines, and not more than a dozen are of any importance. Of them, Neumayer may be making the most nuanced wines, but Huber’s excellent commercial Grüner Veltliners are the ones that you are likely to find in any volume outside the country. The 2013 Vintage: 2013 was a late vintage that Markus Huber describes as “classical, with the refreshing acidity that most European wine drinkers appreciate.” However, had it not been for berry shatter, which significantly reduced yields, it would certainly have been difficult to ripen a normal crop. Ludwig Neumayer likes the additional spice character that he finds in the wines from such vintages, comparing 2013 in that sense to 2007. As to which variety fared best under these conditions, the two leading estates are not quite in agreement. While Markus Huber thinks it was a better vintage for Riesling, Ludwig Neumayer praises the Grüner Veltliner. Be that as it may, it was a very good year with a touch more vibrancy than in 2012. On the other hand, the majority of the wines were more austere in their youth and are only just now beginning to show their true colors. While 2009 also has a good reputation here, most agree that 2010 was—at its best—the most exciting of the recent vintages, but it was not nearly as consistent as 2012. Further, the wines made from less-ripe fruit had a phenolic edge that you seldom find in 2013. From the tank samples that I was able to taste during my visit in early February, 2014 is much better than its reputation suggests, but down by 20% in volume. Weinviertel, or wine quarter, is only a corner of the large province of Lower Austria that stretches from the outskirts of Vienna towards the Slovakian border in the northeast and Czech forests in the northwest. It is the largest remaining part of what was once called merely the Donauland, or land along the Danube. Wagram, Kamptal, Krems and Wachau are parts of the same province, but located in the Waldviertel, or forest quarter, and now have their own individual appellations. The Weinviertel’s 13,348 hectares of vineyards are scattered across the entire region. As was so often the case almost everywhere in Europe, the south-facing slopes were generally planted with vines. While farming occupied the lower-lying fields and plains, the hilltops were covered with forests. It is a large area that is not very homogeneous, with the main pockets of viticulture centered near Retz, Poysdorf and Stetten. Some of these villages, and in particular Retz, once enjoyed considerable prestige. Today, though, the region is known to most consumers merely as a vast reservoir of easy-to-quaff Grüner Veltliners at attractive prices. Given the sheer size of the region, there is a large number of estates that bottle their own wine, but only a few have managed to attract much attention. Among those two dozen, there are a handful whose wines truly merit a detour—and they often offer the best value for the money in the county. The 2013 Vintage: In spite of a cool spring that led to scattered problems of berry shatter, 2013 turned out to be a very good year for producers in the Weinviertel. With yields of almost 61 hectoliters per hectare, they made about 10% more wine per hectare than their colleagues in the rest of Austria, and a total of about 100 million bottles. Although they also harvested 20% more fruit than they had the year before, yields were nonetheless about 5% lower than the statistical norm. Like 2012 before it, 2013 is generally considered to be more successful than either 2011 or 2010 and is perhaps the most consistent vintage since 2009. There are not many large cities in the world that have their own vineyards, and there’s certainly no other capital with 567 hectares under vine. In fact, until the middle ages there were vineyards inside Vienna’s city walls and even a few adjacent to the imperial palace. Today, however, most of them are on the outskirts of town. The majority of acreage lies to the north, either on the Bisamberg on the eastern bank of the Danube or on the Nussberg to the west. Berg, as in iceberg, means mount or mountain in German, and from the later hillock there are excellent views over the city spread out along the river below. While Riesling, Grüner Veltliner, Chardonnay and Pinot Noir all thrive here, the region’s unique sales proposition is its Gemischter Satz, or field blend, which was granted its own appellation with the vintage 2013. These are compositions of often as many as 10 or 12 different varieties that are harvested at the same time and crushed together, rather than created in the cellar from different batches. Deciding when to pick is thus of utmost importance, with the novelty being that one variety might be slightly overripe and yet another barely on the cusp of maturity. It is that interplay of textures, flavors and acidity levels that makes these wines unusual. While Fritz Wieninger is the undisputed leader in terms of sheer wine quality in Vienna, he has also awakened a renewed interest in wines from the capital—and other producers have taken note. Given the wealth of the local population and their pleasure in sitting outdoors on a summer evening in the Heurigen, as each winery’s bistro is known, it was always easy to sell simple wines at attractive prices. Now many have upped the ante and are trying to compete at a higher level with at least a small range of more serious offerings. For that reason, I spent a day here earlier this year tasting the wines of almost a dozen producers, six of whom are covered in my report. The 2013 Vintage: Vienna has had several extremely cold winters of late, each followed by warm, relatively dry summers. 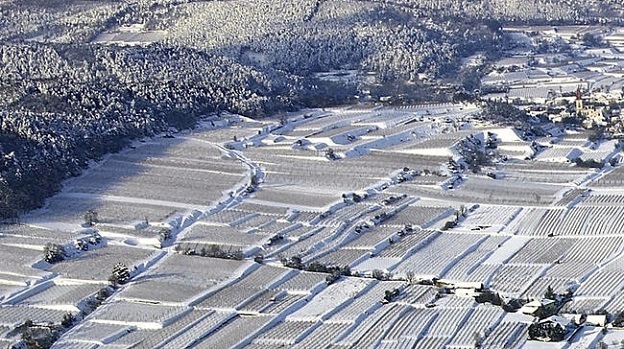 Two thousand thirteen was no exception, with snow remaining in the vineyards until well into spring. Cool, damp weather in May and June led to a late, uneven flowering and berry shatter. Extreme heat in July made up for most of the lost time until chilly nights in August slowed vegetative growth. September remained cool, so that the grapes were able to ripen over a longer period and be harvested relatively late at full maturity. The only downside was the low yield, which like in 2012 averaged only 42 hectoliters per hectare. Quality, though, was excellent, with refreshing spice animating all of the whites. Although one of the oldest wine producing areas in Austria, the Thermenregion is nonetheless one of its youngest appellations, dating back to only 1985. At that time, two villages on the edge of the Vienna woods that were once considered part of the greater capital, Gumpoldskirchen and Bad Vöslau, were separated from Vienna and fused to form a new region. Mostly located in the hills, the Thermenregion also includes a flatter southern belt that was once called Steinfeld. It had also previously been a separate region, and in fact is still more typical of Burgenland, but was incorporated into the Thermenregion because it belonged to Bad Vöslau. With some 1,971 hectares of vineyards in production, the Thermenregion is by no means the smallest of Austria’s viticultural areas. What sets it apart, instead, is its cultivation of two indigenous white varieties, Zierfandel and Rotgipfler. Legend has it that the monks from Citeaux came here in 1141, liked the calcareous soils and first planted Pinot Noir, Pinot Blanc and Chardonnay. Interestingly, they also brought Riesling, a variety that was once seen much more often. Today, only the Freigut Thallern, which was founded by those same monks, still places a focus on that most Germanic of grape varieties. Traditionally, these were some of the most expensive wines from Austria. This was certainly partially due to the region’s close proximity to the Imperial court. Further, the nobility came to these wooded hills—the Anninger peak is at some 675 meters—in the summers to escape the heat in the capital. Nonetheless, the historic prestige of the region’s wines must also be attributed to the fact that both Rotgipfler and Zierfandl age well. Rotgipfler is a wild crossing of Roter Veltliner and an unknown variety from the Traminer family that began to be cultivated here about 300 years ago. Even today there are only about 110 hectares planted worldwide, but some 100 of those are here. Rotgipfler ripens earlier than Zierfandler, can be quite productive, and often loses its acidity if the grower is not careful, which is why it fares best in cooler years. In their youth, these otherwise soft wines with their typical pear fruit can have quite herbal tannins, but show a charmingly warm spicy quality, often suggestive of cardamom, as they mature. Zierfandler is also a scion of the larger Traminer family bred in the wild with a variety that has been lost. It ripens late with low yields and has both a citrus quality and higher acidity, akin to Riesling. Given its thin skin, though, it is more susceptible to disease and needs chalky soil to attain higher quality. When it succeeds, it is by the telltale signs of apple and quince that I recognize it. There are about a dozen estates of note, but few of them export much wine beyond what were once the city limits. My favorite is probably Stadlmann, but Reinisch and, in recent years, Alphart each have their own style. Worth mentioning now are also the wines from the erstwhile Schellmann estate that beginning in 2013 will be bottled under the label of Weingut Loimer, as new owner Fred Loimer is better known for his own winery in the Kamptal. As yields here are never high, none of them ever try to compete at entry-level price points. The 2013 Vintage: After inclement weather during flowering induced berry shatter that foretold a reduced crop, a very hot and dry late June followed. As the nights remained warm, plant metabolism essentially shut down at times. A cool but uneventful autumn allowed the producers to harvest relatively late, but Rotgipfler had difficulty dealing with the caprices of the weather. Although Bernhard Stadlmann refers to 2013 as a classical vintage, yields were very low. At only 35 hectoliters per hectare, they were down by 20% on 2012, which was already noted as a short vintage. On the positive side, the wines have about one degree less alcohol than the richer 2012s and more vibrant acidic backbones. Looking back, 2012 was a very warm, dry vintage, quite similar to 2011. At bottling, most estates held that the wine styles of both vintages were very similar. Like the general public, I often preferred the 2012s in their youth, but believe today that the 2011s will age better on the whole. This small region has gone through numerous name changes in its recent past. For lack of a better solution, it was often lumped together with places upriver from Vienna, including Klosterneuburg and Wagram. Now its roughly 850 hectares of vineyards have their own appellation: Carnuntum. This was the name of the largest Roman colony in Austria, whose remains are today a major tourist attraction. Located about 40 kilometers southeast of Vienna on the banks of the Danube, it was at the time the capital of what the Romans called Upper Pannonia. Although most of the vineyards are found near Göttlesbrunn, just south of the old ruins, the region stretches further east over seven hills towards the Slovakian border, each with each own exposition. Most of the wines produced here a generation ago were white, but today half are red. In particular, the Rubin Carnuntum, a regional brand produced independently by 44 local estates, has been particularly successful. It is made exclusively from Zweigelt, a grape developed by the eponymous researcher in 1922 by crossing Blaufränkisch with St. Laurent. Here it does well on the gravelly loam, it has long been the workhorse of the domestic red wine industry, and it is sold by the glass in almost every Austrian restaurant. It is marginally warmer than in Krems, but cooler than in Burgenland—and there is less rain. In fact, it can be as dry as in Alsace. The finer sites have chalky subsoils, like the Leithaberg in Burgenland in the foothills of the Alps, and can give birth to excellent Blaufränkisch, but that more noble variety does best on the Spitzerberg and Donnerberg further east of Göttlesbrunn near Prellenkirchen. The 2013 Vintage: My first impression of 2013 in Carnuntum was of a vintage with similarities to cooler years like 2010 or 2008, with the white wines faring better on the whole than the reds, which have gradually become the flagship wines of the region. For reds, 2012, 2011 and 2009 are still generally considered the best vintages, but at their finest the 2010s have developed an inimitable character. There was not much made at that level of quality, but what there was is first class. Two thousand thirteen may end up with a similar developmental curve. But with yields of barely 50 hectoliters per hectare, down 15% from 2012, there will not be a lot of it. 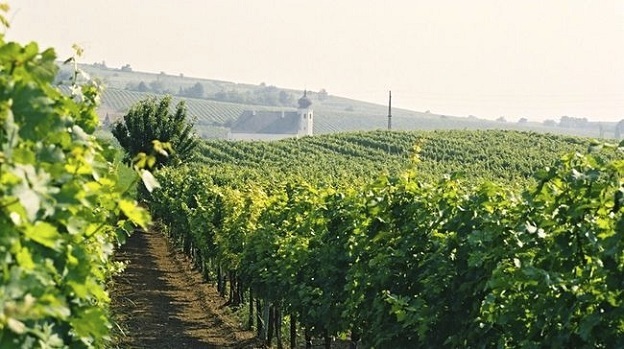 Burgenland is one of Austria’s nine provinces as well as home to a number of wine-growing regions. I have chosen to regroup these regions here under a single banner because that is what the producers themselves are beginning to do ever more often. The other unifying element is that they are all found at the eastern end of the Alps, where the landscape becomes a vast plain, known as Pannonia, stretching from the Alpine foothills, where most of the vines are planted, all the way to the Black Sea. Together they comprise some 13,850 hectares of vineyards scattered around Lake Neusiedl. The official names of the various appellations are Neusiedlersee, Neusiedlersee-Hugelland (which is now being split into Leithaberg and Rosalia), Mittelburgenland and Südburgenland—or, for some, Eisenberg. As each of them has so many different threads and often no single motive, the consumer is generally at a loss when confronted with any given label, which is why Burgenland is easier for most customers to understand. Neusiedlersee, which alone comprises more than half of the total vineyard area, is already an eclectic mix of various reds from the gentle northern slopes of the eponymous lake, with its center in Gols, to the noble late-harvest wines from its southeastern shores near Illmitz. For the DAC of the same name, Zweigelt plays first fiddle. Neusiedlersee-Hugelland, which is wedged between the western shores of Lake Neusiedl and the Alps, is a long name even for German speakers, which is why so few producers actually write it on their labels. Historically, the village of Rust directly on the lake was the best-known name in this region and is still synonymous in the eyes of many collectors with Ausbruch, the Austrian Beerenauslese that was at the heart of the scandal in 1985. The vineyards along the foot of the Alps, however, have now been broken into Leithaberg and Rosalia. In particular, the chalky soils of the former are gaining recognition as an excellent source of Blaufränkisch. However, Leithaberg can also be used for white wines coming from as many as four unrelated white grapes, which has somewhat diluted the impact of the new DAC. While Mittelburgenland and Südburgenland are more homogeneous in terms of the wines they produce, which is mostly Blaufränkisch, both are rather large geographical units with only pockets of vineyards here and there that are not at all uniform in terms of either geology or microclimate. The most famous village in Mittelburgenland is Deutschkreuz, directly on the Hungarian border. While the heavier soils here are mostly clay and loam, I have heard many colleagues compare the wines to those of the Leithaberg. Südburgenland is by far the smallest of the individual regions, with only some 500 hectares of vineyards scattered across a wide range of hills along the Hungarian border. As a DAC, it is also known as Eisenberg. This, though, is a bit of travesty, using a part to name the whole, which is why the two best producers in the region, Krutzler and Schiefer, at first refused to use the word Eisenberg on their labels even though their finest wines are made from excellent sites in its heart. This is a cooler expression of Blaufränkisch from primary rock with traces of iron, which is what Eisen means in German. What Burgenland truly has in common is the color red. Much as Styria is about white wine, Burgenland is, without doubt, the source of Austria’s finest reds, and the traditional home of Blaufränkisch, one of the most underrated red wine varieties in the world. Strangely, only a generation or two ago, many of the finest sites here were better known for their whites as well. As reds came into fashion, a number of relatively small players morphed into national entities. Today that trend is beginning to ebb at the high end because so many producers are trying to compete in the upper tier with a wine or two, creating a glut. Those who have established commercially successful wines at moderate prices, though, are still thriving. Beyond that there are lovely quaffing wines made from Zweigelt and the occasional moment of genius inspired by St. Laurent, not to mention varietal blends that are behind many of the most expensive bottles. That said, the plethora of names for these designer wines is as difficult for the average consumer to understand as are those of the Super-Tuscans, many of which are no more “super” than some of the wannabes from Austria. While the scandal in 1985 largely wiped out Austria’s production of noble late-harvest wines, no article on what Burgenland does well would be complete without mention of Alois Kracher, who died tragically in 2007 at the age of only 48. He was not alone in carrying the torch, as my portraits of Heinz Velich, Feiler-Artinger or Ernst Triebaumer will confirm, but without his missionary zeal the world would perhaps have forgotten how splendid such dessert wines can be. The market for them may be growing smaller by the year, but it would be a pity if tomorrow there were no more Sauternes, no Auslese from the Saar, no Liqueur Muscat from Rutherglen, or no Ruster Ausbruch. 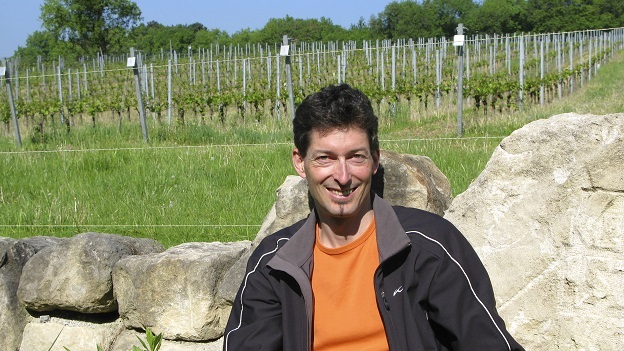 The 2013 Vintage: “It has been a crescendo over the past three vintages, with each better than the previous one,” said Gernot Heinrich from Gols on the northern shore of Lake Neusiedl at ProWein in Düsseldorf in March. He was speaking of 2011, 2012 and 2013. “Two thousand ten was a more difficult year because of the rains,” he added. While most of his colleagues will agree with the latter statement, the former is more controversial. Christoph Wachter from Südburgenland has a slight preference for 2011. “It was a very warm year with cool nights at harvest,” he said, “an almost perfect year for Blaufränkisch.” Two thousand twelve was very dry early, but not quite as warm. “Perhaps the wines are more elegant than the 2011s, but they may not have quite the same depth,” he believes. Albert Gesellmann from Deutschkreuz in Mittelburgenland, on the other hand, states clearly that he had never seen such ripe berries as in 2012. “The pHs were quite high, in fact almost too high,” he said. Given the geographical diversity in Burgenland, there is no easy way to rate the vintages across the whole spectrum: 2013, 2012 and 2011 were all good in their own way. Instead it is easier to categorize them. The 2011s are powerful and deep. Often higher in alcohol, they are monumental, but brooding at present. Seldom a great pleasure to drink today, they are instead built for aging. The 2012s are a tad lighter in body and generally lower in alcohol, making them more approachable, even if at times the tannins are somewhat dusty. Exactly when an estate picked which lot made a lot of difference. The 2013s are a positive cross between the two. Given the very cool nights during autumn, the young wines have a vibrancy that the other two vintages did not. The best have finer tannins and more complexity of fruit as well. In style, it is my favorite of the three vintages, but most of the Blaufränkisch that I tasted was from barrel. Styria, or the Steiermark as the Austrians call this province in German, is a large wine-growing region some three hours’ drive southwest of Vienna along the Slovenian border. Historically it was divided into four sub-regions, the most southerly of which is now in Slovenia near the town of Maribor (Marburg). Just over a hundred years ago, its famous Jerusalem vineyard was the home of one of the most expensive wines in the world, a Pinot Blanc! The two principal Austrian appellations are Southern Styria, where the majority of the leading estates are located, and the somewhat smaller Southeastern Styria. Together the three sub-regions north of the border have a total of just shy of 3,900 hectares of vine. Southern Styria, with its some 2,500 hectares of vineyards, is a hilly area with a diversity not seen much anywhere else in Europe. The vines there are planted on steep slopes at various altitudes with different expositions on a kaleidoscope of soils. This fact explains the maze of varieties found, all of which do well in the right hands. Sauvignon Blanc is now considered the king, or is at least the most popular grape, but Pinot Blanc, Morillon (Chardonnay), Traminer and Muskateller can be excellent as well. In the southeast, estates like Neumeister also make outstanding Pinot Gris. What the wines of Styria all have in common is their color: white! Unlike in Burgundy, the leading estates are spread out along the hills with very little overlap. Although the leading estates have developed a classification of grand crus, their respective vineyard holdings are almost all essentially monopolies, making comparisons difficult. Sattlerhof’s Sauvignon Blancs have an herbal density, Gross’s a warm, rich purity, and Tement’s a stony, spicy freshness. Is that due to soil, microclimate or stylistic preferences? Further, even where two estates use the same vineyard name, that site is often quite large and hardly uniform, making comparisons of two bottlings of, say, Grassnitzberg, almost impossible. Within Austria, and certainly within the region itself, Welschriesling remains the most popular variety, but the estates that export produce a high percentage of Sauvignon Blanc. For years, their entry-level Klassik was an important wine, but it seems to be losing ground, squeezed as it were from two ends. Given the increased competition, many estates have released a Sauvignon Blanc at a price point below that of Klassik and, above it, all have introduced a village range, with names like Ratsch, Gamlitz or Berghausen. And then there is Sausal at the northern end of the region. On average almost a hundred meters higher in altitude, its hillsides are considerably steeper and the soils mostly slate. It was once a separate region and, in style, remains so even today. While there is little agreement internationally as to what constitutes great Sauvignon Blanc, all producers in Styria would argue that New Zealand, however successful, is not a role model. Instead, the spectrum of choices runs the gamut from barrel-fermented Graves to the stony purity of Sancerre. At various times, most of the leading estates have tried both approaches, but are now slowly beginning to develop their own styles, with Gross, Sattlerhof and Tement the farthest down that path. The 2013 Vintage: Until hail in August and rains shortly before harvest ended their streak in 2014, Styria had been on a roll, with 2011, 2012 and 2013 all being above-average vintages. Among those three, 2012 certainly has the least depth, but makes up for that shortcoming with balance. In fact, they are often the most interesting wines to drink today. Two thousand eleven is the most massive of the three vintages. At the time, producers like Alois Gross said unequivocably that they had made the finest wines of their career in that year. Many of them, though, were so closed in their youth that they are only just now beginning to show their potential, and the best are still far from their zenith. Two thousand thirteen is the most unusual year in this trio. It has the richness and depth of 2011, but with a more lively acidity that provides the young wines an undeniable elegance. Heat in the summer slowed maturity to such an extent that almost everyone harvested relatively late. Not only was the vegetative cycle longer, it was also cooler when the grapes were picked, giving the wines a youthful brightness that the 2011s never had. While everyone I spoke with thought very highly of the vintage, few were as clear in their preference as Christoph Neumeister, who believes that 2013 is the best vintage he has ever crushed. I take a more nuanced view. Stylistically I prefer the crisp elegance of the 2013s as well and believe that they will provide the most drinking pleasure over the coming few years. The finest of the 2011s, though, like the 2007s before them, may outlive them. However, as few of us lay down Sauvignon or Pinot Blanc to age, that certainly simplifies our choices.